Is This Diet Healthy? - No More Crohn's For Me! As you consider whether to take the plunge and start the Specific Carbohydrate Diet, you may be wondering if it’s really healthy. Is it really okay to cut out wheat, rice, corn and all the other grains? Won’t that be an unbalanced diet? Isn’t this diet really high in animal fats? 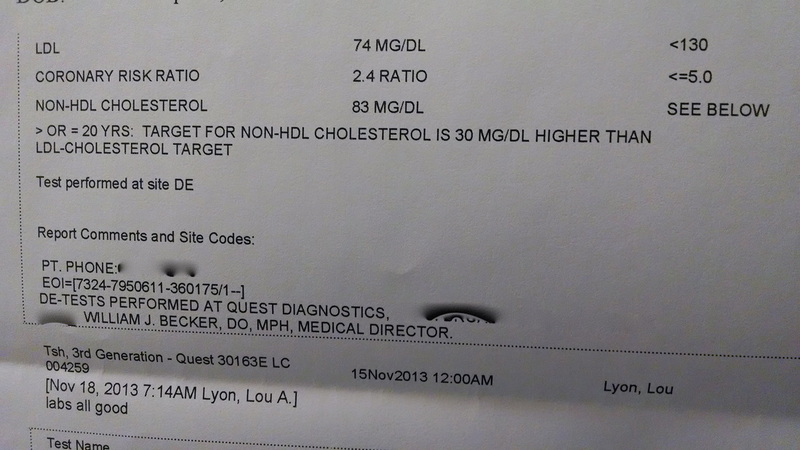 What’ll happen to my cholesterol levels? When your family and friends hear what you’re thinking of doing, these are some of the concerns they may have. Let’s talk about them one at a time. If you cut out grains, how will you get your fiber?? Dietary fiber is probably best known for its ability to prevent or relieve constipation. But foods containing fiber can also help maintain a healthy weight, lower your risk of diabetes and heart disease, lower cholesterol, blood pressure and inflammation. Getting enough fiber on the SCD isn’t difficult, but it helps to be somewhat aware as you choose what you eat. Soluble fiber dissolves in water to form a gel-like material. It can help lower blood cholesterol and improve blood sugar levels. Soluble fiber for SCDers is found in peas, brussels sprouts, navy beans (wait 3 months), apples, apricots, mangoes, oranges, grapefruit, asparagus and carrots. Insoluble fiber doesn’t dissolve and promotes the movement of material through your digestive system and increases stool bulk. Berries are a great source of insoluble fiber as are the peels of fruits such as pears, plums, apricots and apples. Sunflower seeds, almonds, walnuts, peanuts, navy beans and vegetables such as cauliflower and green beans, are also good sources of insoluble fiber. Aren't grains loaded with vitamins and minerals? While grains are one source of the following vitamins and minerals, a person on the SCD will be able to get these important nutrients from foods which are eaten regularly on the SCD as well as some supplements. The nutrients most associated with grains are B vitamins, folic acid, iron, calcium, zinc and magnesium. Folic acid is found naturally in SCD foods, including dark leafy vegetables, citrus fruits and navy beans. (Enjoy after 3 months.) The body does not absorb folate as easily as the manmade form (folic acid). In the United States, most women who eat foods enriched with folic acid (pastas, cereals, bread) are still not getting all that they need. That’s why it’s important to take a vitamin with folic acid every day. (source: WomensHealth.gov/publications) When a person is on the SCD, especially women of childbearing age, it is recommend that they take an SCD legal multi-vitamin every day. I use the Freeda vitamins, which were formulated for people on the SCD. Zinc is an essential mineral required by the body for maintaining a sense of smell, keeping a healthy immune system, building proteins, triggering enzymes, and creating DNA. The current recommended daily value for Zinc is 15 mg. SCD legal foods highest in Zinc are seafood, beef and lamb, spinach, pumpkin and squash seeds, nuts, pork and chicken, navy beans (wait 3 months) and mushrooms. Vitamin D is important for helping us absorb calcium and it promotes bone growth. Cathy Malone, a Registered Dietitian at Mass General Hospital for Children spoke at the SCDROCKS Conference and explained the nutritional needs of people on the SCD and what kinds of supplements might be helpful. She said that SCDers tend to be low on Vitamin D, and she encourages people to get sunshine when possible and also to take legal Vitamin D Supplements. Is the SCD a balanced diet? If we think of the average American diet - the diet that your friends and family might think you should be on, we realize it may not be very balanced or healthy. It may be heavy on unhealthy oils, sugars and processed carbs. In contrast, the SCD is all about fruit, veggies, meat, lactose-free yogurt and cheeses, healthy oils, nuts and honey. Every one of these items is nutrient dense and provides a broad range of everything that your body needs. Isn’t this diet really high in animal fats? You might want to do more research on the question of animal and saturated fats, but it’s interesting to note that there is a large body of research and thought which says that animal and saturated fats actually promote good health! For example, a number of indigenous tribes in Africa have provided living proof that a high saturated fat diet equates to low mortality from heart disease. Human breast milk, the most perfect diet in existence for developing infants, contains 55% saturated fat and cannot be easily called a “mistake.” Saturated fats have been shown to be necessary for the proper function of cell membranes, heart, hormones, lungs, liver, the immune system, the brain, and more. The interview with Dr. Perlmutter by Max Lugavere is very interesting and may shed light on why people on the SCD are actually so healthy. Find the interview here: www.psychologytoday.com/blog/. Information provided above also quotes from this post. What’ll happen to my cholesterol levels? 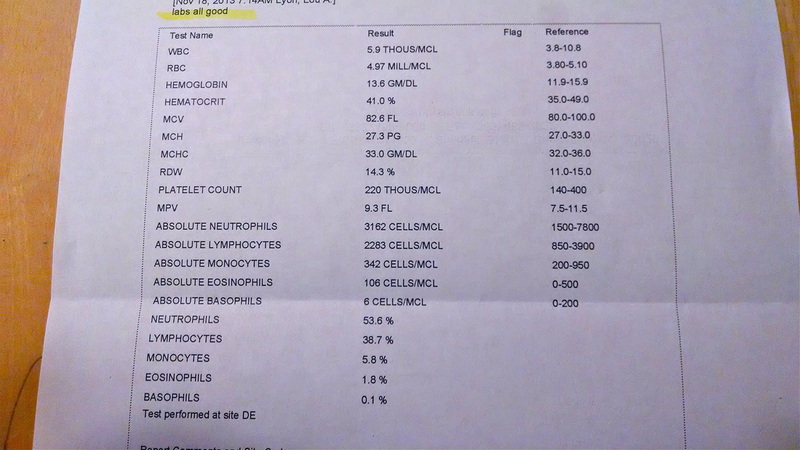 I think the best way to talk about what the SCD does to cholesterol levels is to just show you the results of my own blood work. I have been on the diet exclusively since 2001 and while I didn’t go to the doctor regularly at first, now that I’ve been having babies I have had regular blood work done and all of my numbers have continuously been great! 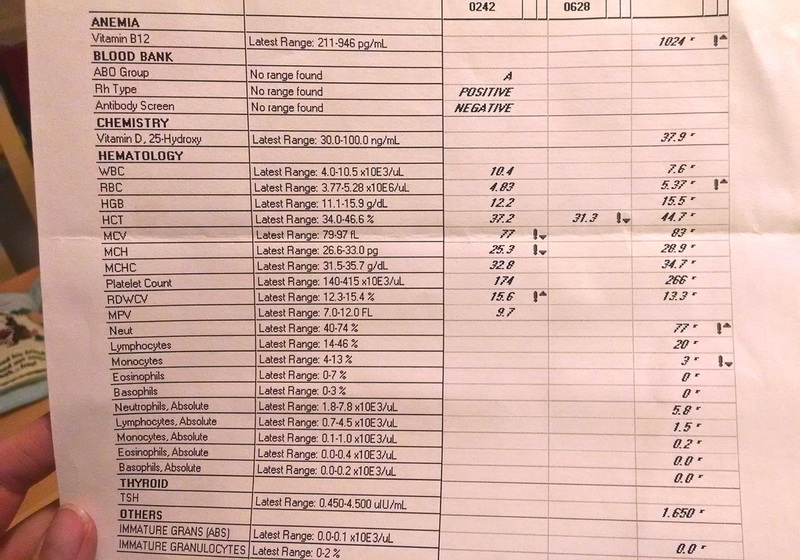 Take a look at my blood work from November, 2013, below, which continues today.